A 26-year specialist in advanced environmental test equipment KOMEG Technology Industrial is famous for its KOMEG star brand of environmental test equipment in China since 1990. KOMEG has specialized in climatic test chambers, thermal shock test chambers, walk-in chambers, burn-in room and aging test chambers, drying ovens, salt spray testers, medical laboratory equipment etc. KOMEG factory is located in Dongguan, covering an area of 5,000 sqm, with over 100 employees including 26 R&D engineers. KOMEG also have offices in Shenzhen and Songshan Lake National Hi-Tech Industrial Development Zone. Born for quality, test for future Born for quality, test for future is always our philosophy. Better idea, better design and better quality is our aim. KOMEG strive for continuous innovation, releasing no less than 5 new designs each year. Our strong R&D team and skilled workers is the key to our success. No matter it is standard or custom-made project, we have rich experience in handling such so that customers worldwide can benefit more from KOMEG when working with us. And to ensure your specific test standards are met, the key components and parts are using imported famous brand. Thats why SGS, KONICA MINOLTA, SENKO, Midea, TCL and Huawei are among our long-term clients. As we know that thermal shock occurs when a thermal gradient causes different parts of an object to expand by different amounts. This differential expansion can be understood in terms of stress or of strain, equivalently. At some point, this stress can exceed the strength of the material, causing a crack to form. If nothing stops this crack from propagating through the material, it will cause the object's structure to fail. Normally we use thermal shock test equipment to test how much amount can a product withstand thermal shock. Thermal shock testing exposes products to alternating low and high temperatures to accelerate failures caused by temperature cycles or thermal shocks during normal use. there are three chambers used to perform thermal shock testing, high-temperature chamber, low-temperature chamber and test chamber. Sample is placed in the test chamber, more extreme temperature than test temperature can be set in high-temperature chamber and low-temperature chamber. 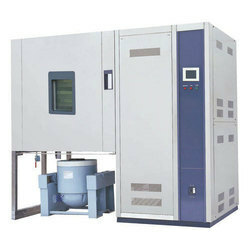 When doing low temperature testing, cold chamber door open, and low-temperature chamber working together with test chamber. 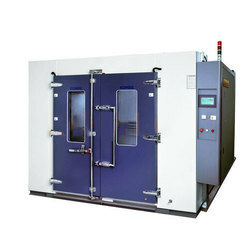 When converted into high-temperature test, cold chamber door closed, hot chamber door are opened, and test chamber working together with high-temperature chamber. Conversion of mechanical action (transferring from high temperature to low temperature or low temperature to high temperature) can be completed in less than 1 second, and the temperature can be quickly stabilized. international standard ISO 9227, ASTM B117, CNS, JIS, DIN, GB, BS, IEC, MIL, etc. Salt spray corrosion test chamber can be used to assessing the ability of salt spray corrosion resistant materials. It can be used to assessment materials and their resistance to salt spray corrosion protection layer capacity, whether you are testing hardware industry, screw industry, electroplate industry, automotive and motorcycle parts, communication industry, computer industry, electronic industry, coating industry, research institution, etc, our salt spray test chamber can offer you a best solution. 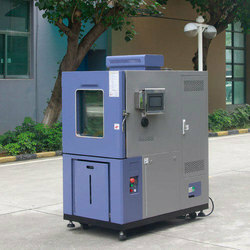 Due to the increasingly harsh environment, Salt Spray Tester becomes more and more popular. Salt Spray Tester has been the hottest selling products these days, for the fast delivery time and reasonable price of Salt Spray Tester. Need 2HP air compressor (Not included). Salt spray corrosion test chamber (Salt spray test chamber, salt box, salt spray test machine, salt spray corrosion test chamber) can be used to assessing the ability of salt spray corrosion resistant materials. It can be used to assessment materials and their resistance to salt spray corrosion protection layer capacity, whether you are testing hardware industry, screw industry, electroplate industry, automotive and motorcycle parts, communication industry, computer industry, electronic industry, coating industry, research institution, etc, our salt spray test chamber can give you a best solution. Smart high precision digital PID control microcomputer control instruments, error of ± 0.1 ° C, thin film KEY BOARD buttons,digital and direct display, temperature control, power output by the microcomputer algorithm to achieve high precision and high efficiency power efficiency. 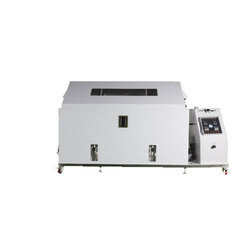 Our salt spray test chamber are equipped with water shortage warning system, all heaters are over-temperature protection with electronic and mechanical devices. Multiple system protection, the use of safe and reliable. Which further maintain standard and quality of continuous test. High precision temperature controller with digital display introducing P.I.D. automatic tuning control. Double over heating protection and low water level alarm ensures operation safety. Comply with international standard like ISO 9227, ASTM B117, CNS, JIS, DIN, GB, BS, IEC, MIL, etc. Corrosion resistance test for products after treated by plating, anodized, spraying, and anti-rust. Accurate glass nozzle to assure evenly spread and no crystallization block. Alternative energy sources are the future of the world we live in. Solar energy is one of the forerunners of this energy revolution. The panels need to be able to withstand whatever mother nature throws at them. For this reason, environmental testing has become an integral step in product development and design. Solar panel refers either to a solar hot water panel, a common type of a solar thermal collector or to one or more solar photovoltaics (PV) modules, electrically connected and mounted on a supporting structure. LED Products will step into their spring for the environment protection, and LED Test Chamber will gain some advantage with the LED Lamps. LED Test Chamber can be seen in a lab of a university or testing center, In a word, LED Test Equipment will help people find good quality products. Test material heat, cold, dry resistance, humidity resistance. Suitable for led lightings electronics, electrical appliances, Communications, instrumentation, vehicles, plastic products, metal, food, chemical, building materials, medical, aerospace and other products.The earth is the only place we can live on in the solar system. How should we tread the only motherland? We should be environment friendly. The scientist invents something environment friendly. Its manufacturer should make sure it will work long time. HOW do you and we know its performance? We human being live from equator to high latitude. We experience rain, wind snow, sunshine. The temperature and pressure changes dramatically in different region any time. Can it perform well in different climate conditions? 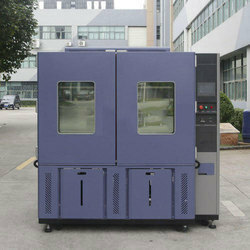 The Most Common Test Standard is Double 85, so it can also be called Double 85 Test Chamber. Wet high temperature operating life test has been used to evaluate the reliability performance of the LED modules. That is, the test at 85 C/85 RH is applied to LED module. Our Walk In Chamber uses urethane-foam panels in a stainless steel or galvanized interior skin. This Walk-in Chamber is same construction used for walk-in coolers in restaurants, but of a higher quality. Failure analysis, and any other application where environmental simulation is needed. 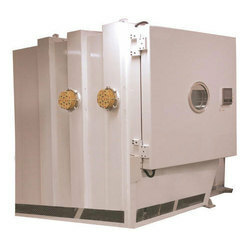 Altitude test chambers combine temperature and altitude with optional humidity for simultaneous environment testing. External pressure type box body structure and stainless steel tank design, rational air circulation system and scientific layout of heating, refrigerating system. High precision and stable performance with touch screen controller, friendly Man-Machine interface. Multiple layers of safety device to easy maintenance. Temperature Humidity Vibration Chamber, Three Integrated Test Chamber, Temperature Humidity Vibration Three Integrated Test Chamber is a comprehensive meet all kinds of corresponding temperature, humidity, vibration test requirements. Can match appropriate vibration table. Combined laboratory structure and refrigeration system as a whole, compact and beautiful, easy operation. Refrigeration compressor, LCD touch screen and main parts are imported brand, equipped with RS232 communication interface. Good mechanical transmission and match different types of vibration table. If you face any problems in future during testing process we promise we will give you a reply within 48 hours and solution provide within 3 working days. We can offer operation video and English operation manual. If customers require on-site service, the transport and travel expense shall be borne by customer. We appreciate you, the customer, and we always treat our customers with the greatest consideration and courtesy. Our business has been headquartered in Shenzhen, Dongguan for over twenty years. We are one of the largest independent environment test equipment manufacturers in China. We'll do our best to remedy any problem you might have with a purchase. We believe we have an obligation to give you our best if you purchase from us. Your order will be filled accurately and shipped promptly. We have thousands of parts in stock. We have been selling by email order for over fifteen years. You won't pay too much. Our volume buying and low overheads assures you of a low price and top quality new products. 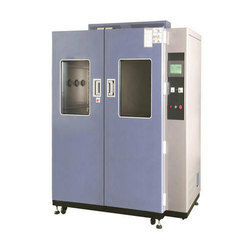 Temperature and Humidity Test Chamber are widely used in testing various types of materials for their tolerances of heat, cold, dry and humidity. It is applicable for quality inspection for all types of electronic products, electric appliance, and products from communication, instruction, automobile, plastic, metal, food, and chemical, building materials, medical and aerospace industries. Unique shape with high performance material, whether you’re testing aerospace products, electronic instrumentation, materials, electrical and electronic products and various electronic components, our High low alternating temp. 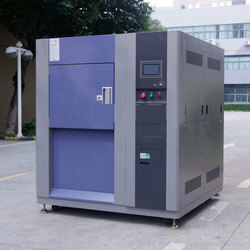 Humidity test chamber can give you a perfect solution. It able to simulate a wide range of temperature and humidity environments. Looking for Environmental Testing Equipments ?